This is the most common form of painting that takes place and every town is full of 'painters and decorators', though not all of them are really competent to do the job properly. Recommendation and word of mouth referral will help to give you peace of mind. 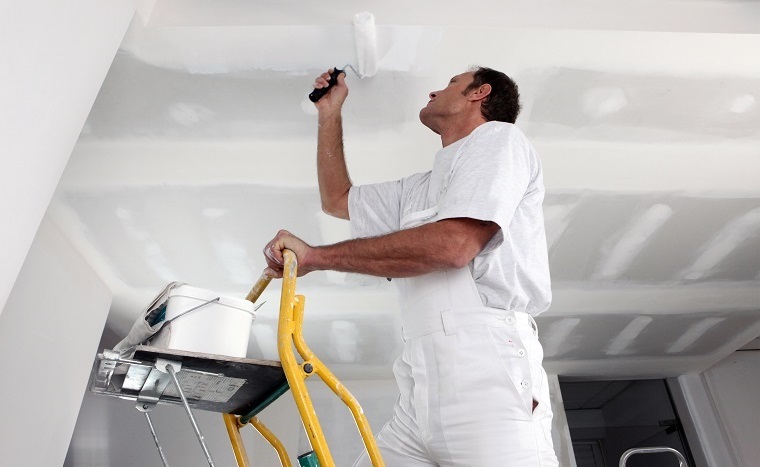 If you are considering having someone come in to paint your property, or part of it, there will be certain reasons why you want someone professional to do it rather than yourself. Firstly you will want to be guaranteed that the finish will look professional and that attention has been paid to the minutest of detail, like ensuring there is no paint on light switches or sockets. You will expect your painter to turn up when agreed and not leave until the work has been finished. Never allow your painter to say "I won't be back for two days as I have a small job to do" as you will be unlikely to see them again for a fortnight! Remember that you are paying your decorator, so ensure they do as asked. However do be prepared to listen to their advice. They have many years of experience behind them and may have alternative ideas that might work better. Be sure to demand that quality paint and materials are used – we will cover this in another section, and always remember to get an idea of how long the work is likely to take. In a modern property, redecorating a 180 sq. m. room should take no more than 3.5 days - one day for preparation, filling cracks, sanding down woodwork and covering all the furniture and carpets, one day for the first coat of paint on the walls and ceiling and one coat of undercoat to all woodwork, one day for second coat of emulsion to walls and ceiling, topcoat to all woodwork and half a day for the final topcoat to all woodwork. As you will discover with many helpful articles we have published for you, there is considerably more involved in painting than knowing how to use a paintbrush, a roller or other painting materials. Armed with this information we want you to feel more confident that when you ask a painter to give you a quote for painting your property, you will recognise from their answers that they clearly know what they are talking about. So have a quick look at the relevant articles and then use our simple form to request a quote from a recommended local painter or two to get the ball rolling. Request your Free Quotes here.